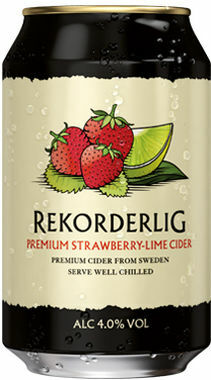 Thank you for enquiring about Rekorderlig Strawberry and Lime, Can. We have received your enquiry and our team will be in touch shortly. Fragrant, spritzy and sweet; reminiscent of passionfruit puree. Serve this fruity little number over ice, and add a twist with a slice of orange.